It's been one crazy week around here lately! We started the week off with a sick kid and a clogged dishwasher and we're finishing the week off with a recovering kid and a clogged dishwasher. Hopefully this week will see the dishwasher fixed! 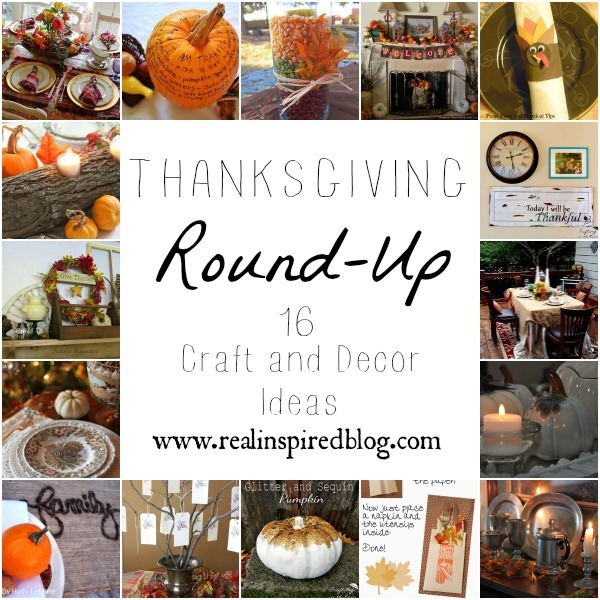 Today, I leave you with a little round-up of 16 Thanksgiving craft and decor ideas. Go forth and be creative!